Shoes Are Needed for Refugees. 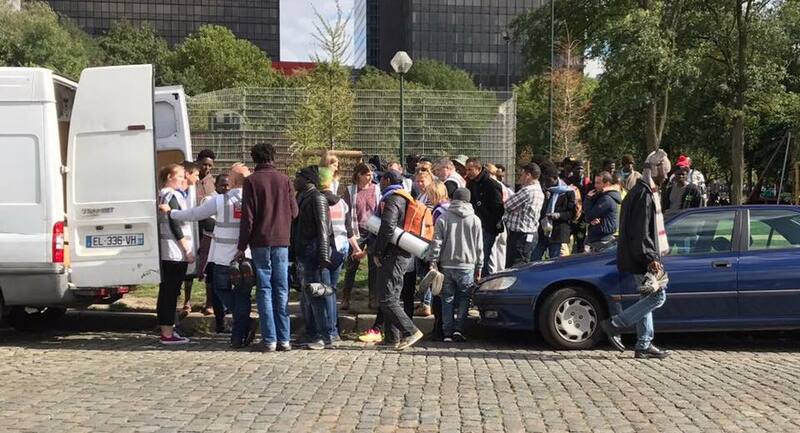 Today we took shoes to the refugees at Maximilian Park in Brussels. We can’t do this often because shoes are so expensive; but providing dry footwear is one of the greatest impacts we can make on the refugees’ quality of life. The medics tell us that foot infections from dirty and wet footwear is one of the most common ailments they are now seeing. A striking thing about the day was how many refugees have run away from the area and are now too scared to be seen in public. The Belgian Kitchen reports having to drive round at night to find people when distributing food. This is a direct result of the massive increase in police activity over the last three weeks, with arrests, detentions and even deportation been employed. We would like to thank Oxford Refugee Solidarity for supporting us today.